"The best things in life are free." So ran the words of an old song and if you think this over for just a moment, you KNOW it is TRUE! Now, since the majority of mankind are always looking for and hoping to get "something for nothing," would you not think they would be willing, at least once in awhile, to think to upon, acknowledge, accept and be grateful for those free Gifts of Life, which make up their very existence here and which are con­stantly flowing to and through all? Take, for instance, your heartbeat — can you BUY one? Can anyone else GIVE you another one, or even their own? Then that must be a free gift to you, ALONE! That rhythmic heartbeat BRINGS YOU LIFE and without it, you do not even have existence here. For what purpose does your heart beat to bring you Life — to hold that Life within itself? NO! It beats only to flood that Life into every cell and atom of your body and then that Life radiates out from you, to all the Life you contact, charged with the partic­ular quality of thought and feeling which you determine shall influence the world around you. You can live without many parts of the physical body, but NO ONE lives without a heart. That is the "Cup of Life" within you. In reality, it is the "Holy Grail" of your world, since it is the anchorage of the holiest thing in the universe — GOD'S LIFE, within your own physical form. That blessed heart beats for just one thing — to give its gift of Life without reservation, patiently and continuously. It asks nothing for itself and holds nothing to itself. Every drop of blood it receives, it blesses, and sends out again to purify and renew the body it serves. It lives but to give, and when it gives no longer, it ceases to be and so does the form which it has served. And so each form which carries a beating heart is meant to be a "Holy Grail" of all Life's Gifts, of Comfort, Joy and Happiness to the rest of Life around it, and no one can truthfully say they have nothing to give. No one is so poor he cannot give a smile to everyone he meets, regardless of whether that smile is returned or not, whether it is deserved or not. No one is so poor he cannot live and let live and be willing to help all to have at least as much good as he has. No one is so poor he cannot deliberately practice patience, courtesy, tolerance and kindness to every liv­ing thing he meets. All these are the virtues of the Happy Life and no individual can be permanently happy without them. 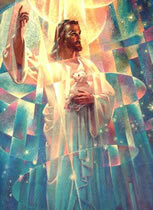 Through these, the substance of the "Cup of Life" flows free to bless all Life it contacts, as each one was meant to do. Every beating heart is a silent announcement to the rest of Life that "Here is another HOLY GRAIL of God's Great Light and Love to Bless Life, to make the way easier for the rest of Life and bring Comfort, Joy and Peace, where the shadows seem to be. 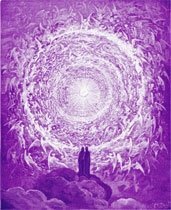 Let there be the beginning of a deeper understanding of our own Life, the most precious Gift in all the universe to each one, and let us find out what we are meant to do with that Life, as God intends. 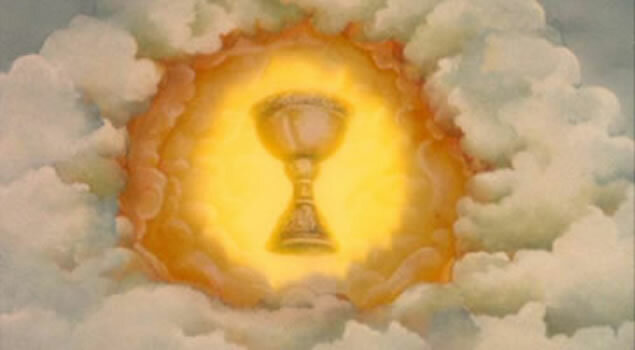 Think on this just a little bit and ask the "Holy Grail" within you, to pour Its Essence of Love and Light into your outer consciousness, teach you all about Itself and make you all It wants you to be. Only then, will you be Master of your world and the Life, the Substance and Energy that flows into it.